At Glow Dentistry we offer the industry-leading clear alignment treatment from Invisalign® – a discreet teeth-straightening process. The removable clear plastic aligners gently reposition your teeth into the desired outcome with no ugly wires – meaning that you can smile with confidence throughout the treatment. Adjusting your teeth using the Invisalign® system has a number of benefits over more traditional metal aligning braces. Removable. Clear aligners can be removed at meal times and for brushing your teeth. Comfortable. Aligners are made from SmartTrack plastic specially engineered for Invisalign® to fit comfortably around your teeth and gums. Invisible. Invisalign® clear aligners are completely transparent. Chances are, people won’t notice that you are wearing them. At your free Invisalign® consultation, you’ll have a relaxed conversation with one of our dentists about your teeth straightening goals. We’ll use a computer simulation to generate a digital image of how your smile could look. The Invisalign® system requires you to wear a series of custom-made transparent aligners for 22 hours a day for a period of months. How long precisely will vary depending on the individual. 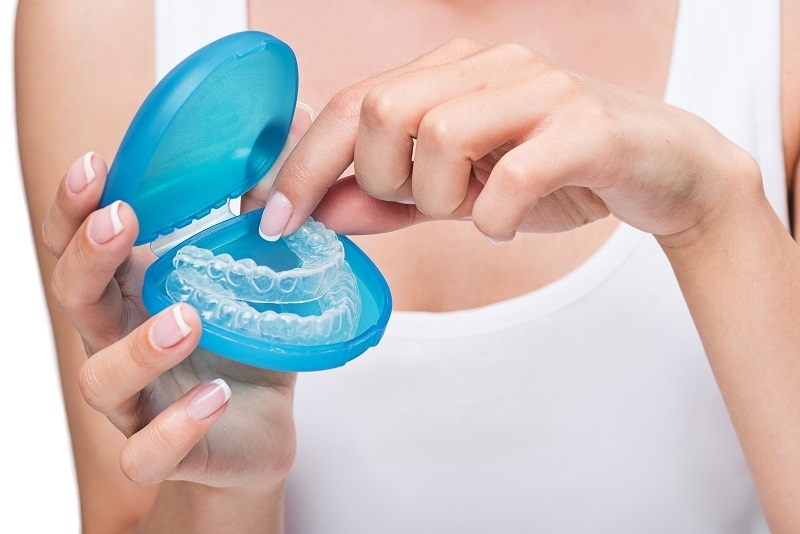 Every couple of weeks you will change to a new set of aligners as your teeth begin to move to their new position. Every 6-8 weeks, you’ll have an appointment with one of our dentists to make sure that everything is proceeding as expected. Book your FREE consultation for Invisalign® treatment by calling our Hampstead clinic on 020 7433 3252 or Mill Hill on 020 8906 7676. Or use our ‘Book an Appointment’ page to see when we are available.